Owned and operated by the Iavarones and the Caputos, Fratelli Iavarone cafe/The Back Room Trattoria is an extension of the families’ long tradition of fine food andexcellent service. 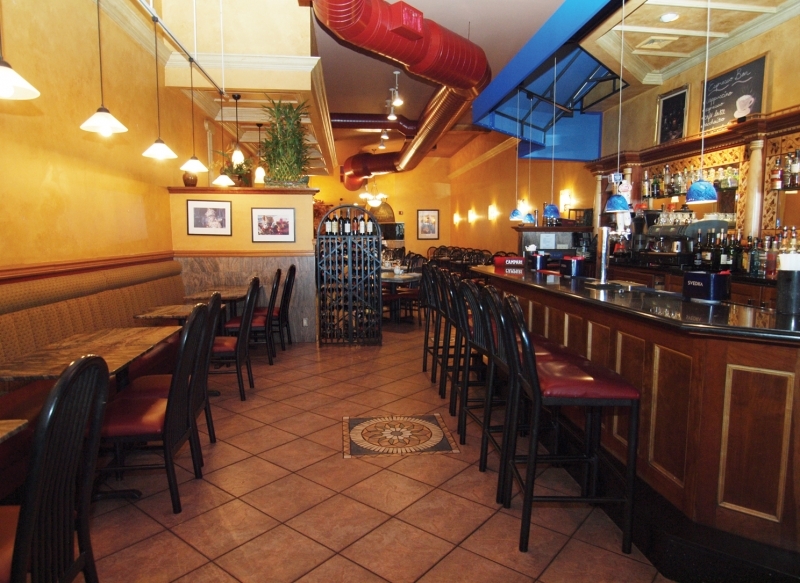 Recently renovated with new colors of gold, burgundyand blue, this casual restaurant has all the warmth and comfort of a family friendly trattoria. An elaborate tapestry is the focal point in the dining room. 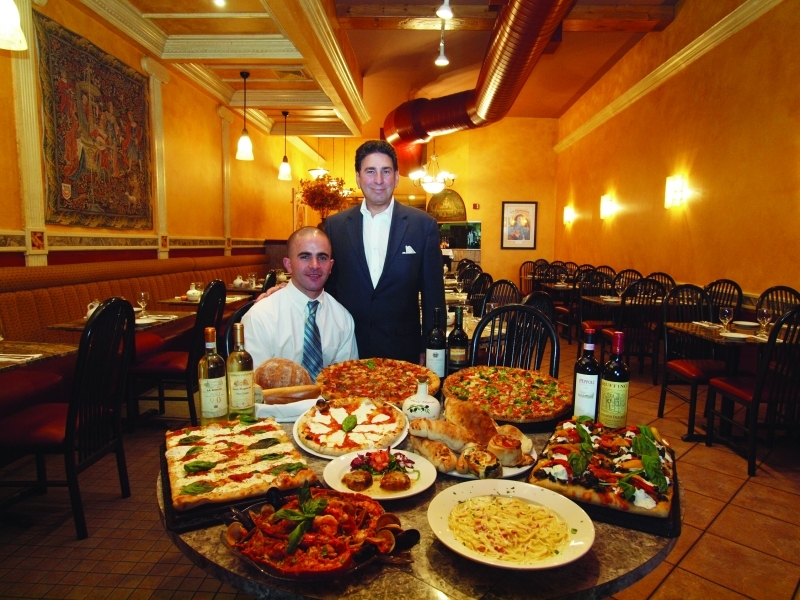 The professional staff, led by Larry Caputo and his sons Frank and Larry Jr., serves up Italian favorites with an imaginative twist. It is known for its sensational pizzas featuring their ever populargrandma pies and margherita pizzettes which are made in their brick oven. Start with stuffed artichoke. For a lighter taste, try the red and yellow beet salad. Pastas include the classic primavera, fresh filetto di pomodoro, and succulent lobster ravioli. Tender veal, chicken, eggplant or shrimp parmigiana; veal or lamb chops; osso bucco; and dry aged steaks grilled to order are among the many entrees. The pastry chef prepares decadent desserts in addition to offerings of gelato and sorbet. Relax at the handsome granite bar, which offers a creative list of martinis and the reasonably priced international wine list provides the perfect accompaniment to your meal. With more than 80 successful years in business, they’ve mastered theart of fine food and gracious hospitality. The Iavarone Bros. Gourmet Market next door ensures you will always get the best products and freshest ingredients. Come and enjoy these hidden gems in the Lake Success Shopping Center.